Tapper, the beloved 1980’s arcade classic, makes its long awaited debut in an all-new version made exclusively for the iPhone, iPod touch and iPad! 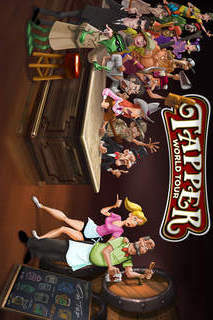 In Tapper World Tour, you’ll serve drinks to an eccentric cast of characters across a variety of outlandish locations. With a brand new story line, stunning graphics, challenging gameplay, and animations from the legendary Don Bluth, it’s up to you…SERVE OR BE SERVED! 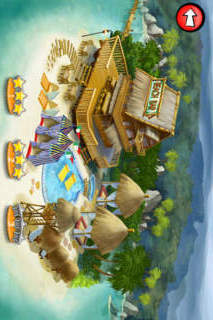 Try Tapper World Tour for FREE!!! Addicted? Buy the full version for 50% off for a limited time. The beloved bartender Sam is back, and this time he has company. Sam has enlisted his vivacious and beautiful daughter Nikki as his partner in crime for a journey around the globe. Join Nikki, as Sam shows her the tricks of the trade as they travel the globe and encounter a variety of crazy customers. 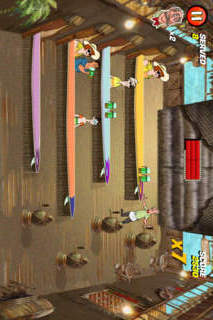 Serve each customer by filling a glass with their drink of choice and sliding it down the bar towards them. Once caught, the satisfied patron gulps it down and is pushed back a short distance. 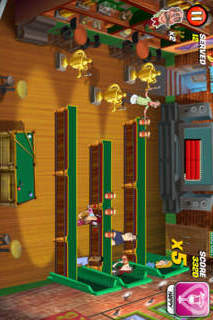 Hit your goal by continuing to serve drinks until all patrons are pushed out of the bar. 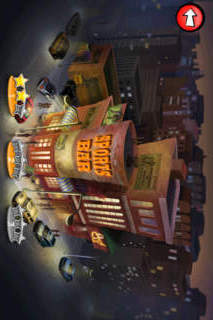 - Over 140 Levels in 15 different locations – Now including Europe!! !